This past February I was lens shopping for a wide angle lens that performed well for ski and bike photos. Shooting these themes requires a fast lens that is reliably sharp and can stand up to the elements. I'm not normally one to let price determine my purchase decision but affordability is never a bad thing. After some research on the web I pulled the trigger on Tamron's SP 15-30mm f/2.8 VC USD. What follows are some of my shots over the past 6 weeks which help prove this lens can go toe to toe with the Canon and Nikon at half the price. The 2.8 aperture is a key feature for anyone shooting in low light situations. What makes this Tamron lens so special is the additional image stabilization feature, something no other ultra-wide 2.8 lens has. 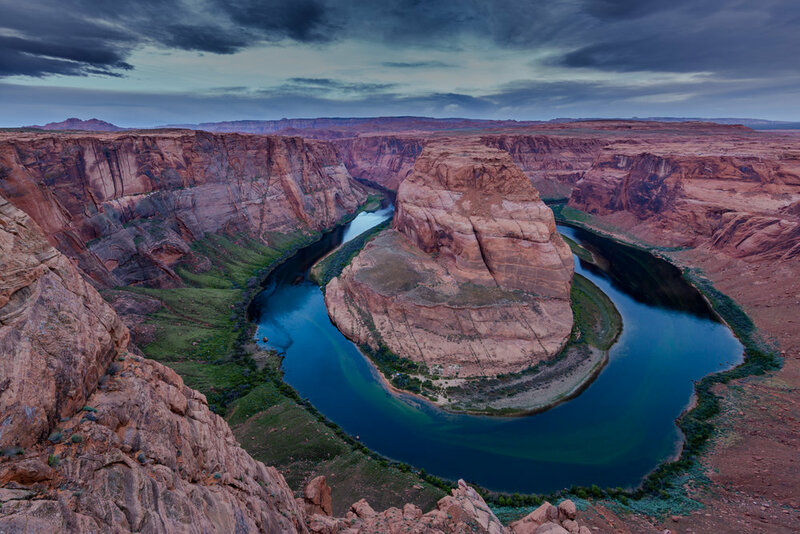 The image above was taken at Horseshoe Bend, on the Colorado River, near Page Arizona. It is one of the most photographed places in the country and a wide angle lens is required to capture the grand scale of the scene. On this given morning, the skies were overcast, making the light dark and moody. A dozen photographers line the cliff at the time, and all of them were restricted to using tripods for their shots. I on the other hand, was able to shoot sans tripod at 1/30sec, allowing me to get closer to the edge and compose with more freedom. 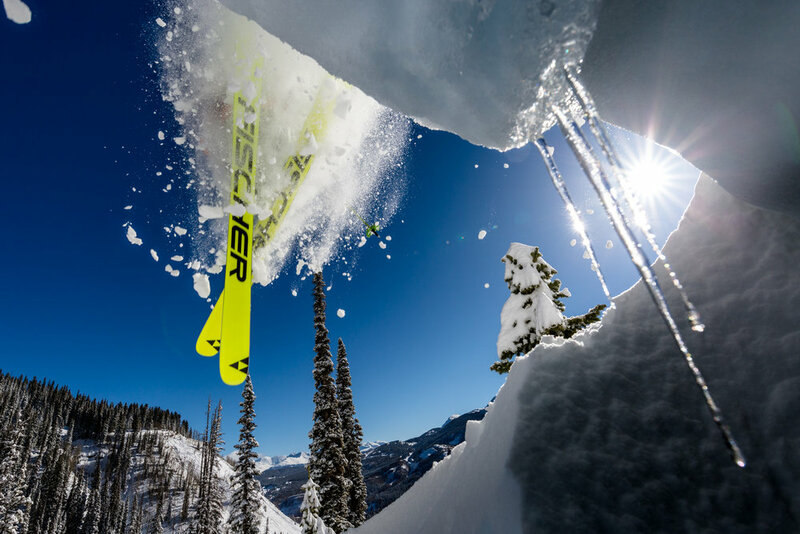 It would be easy to capture the bases of the Fischer skis by shooting this tighter but such a composition would eliminate the cool rock, snowy trees and dark blue skies encompassed by shooting it wide. The same can be said about this next shot, yet I include it for a separate feature found on the Tamron which I am a big fan of- Weather resistance! To get this shot I had to sit in a hole directly underneath the pillow Sven was airing off of. The result was a cascade of snow falling on me and my camera. When I emerged from the snow-cave, my lens had snow and water all over it, but thanks to the Fluorine coated front element cleaning it off was painless. Five minutes later I had completely forgotten about the soaked lens as Sven and I snagged this gem. This lens is badass! Im really excited to shoot bike stuff with it soon. But right now there is still great skiing out there so I expect I'll be taking it on some more winter adventures for the time being.